Purchase this product now and earn 55 Points! This beautiful new Silver coin has been antiqued and color has been added. 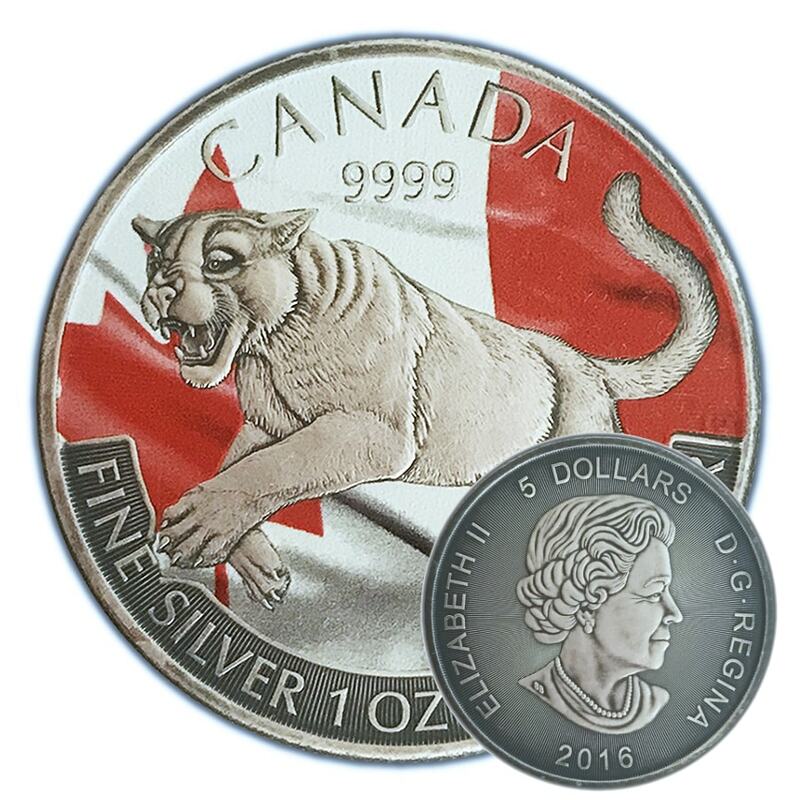 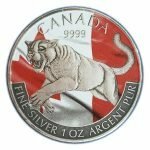 This is the cougar coin from the Royal Canadian Mint Predator Series. 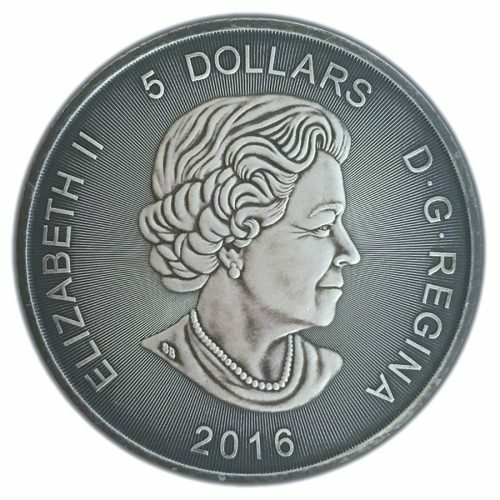 Enhancement was done by a private mint in Germany.